Isn't it great when things work out just as expected? Earlier this month, we passed along a rumor that along with the Microsoft Surface mini, there would be a new Microsoft Surface 3 Pro getting unveiled at the same time. This Tuesday is the press event that Microsoft is holding, and now some pricing information and some specs have been revealed for the Microsoft Surface Pro 3. The Surface Pro 3 is said to feature a smaller bezel, a larger screen size (perhaps going from the current 10.6 inches to 12 inches) and the Windows button will be moved to the vertical side. Five versions of the Surface Pro 3 are said to exist, so here we go. The low-end model sports an Intel i3 chip, 4GB of RAM and 64GB of native storage ($799). Next is the slate powered by the i5 with 4GB of RAM and 128GB of native storage ($999). Another model powered by the i5 doubles the RAM to 8GB and the native storage to 256GB ($1299). A variant with the i7, 8GB of RAM and 256GB of native storage is $1549. And the top of the line Surface Pro 3 is equipped with an i7, 8GB of RAM and 512GB of native storage ($1949). A larger screen means new Type Covers are needed. They will be available in Black, Purple, Cyan and Red. The latter is expected to be an exclusive color for the Microsoft Store. Stay with us all day Tuesday as Microsoft goes big (Microsoft Surface Pro 3) and small (Microsoft Surface mini). This is too much man, by quantity and price. I'm not an ifan, but I'll take the Air over surface. MS is pricing the surface way too high. True, but Micro is protecting all the OEM's on their system. They will always be more expensive than other tablets. The thing is for the majority of the population a simple iPad or Android tablet will fulfill all of their needs. Also those surface prices are ridiculous. Really? Microsoft force customers?? LOL! Mumbo jumbo! A low self-esteem geek you are! The 12" model might be interesting if Microsoft were to use a display like Samsung's 2560x1600 panel. 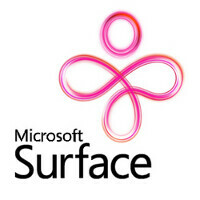 Mostly, though, the Surface line just needs a 50% price cut so that the initial user base can be built up more quickly. don't forget that the x86 based high performance CPU's used in PC's, ultrabooks and Macbooks (not the atoms/baytrails) are probably 100x more powerful than any contemporary ARM chip of ANY Android or iOS tablet. Your statement might have been true 5-10 years ago, but ARM has made tremendous performance strides and is getting closer to Intel. http://www.phoronix.com/scan.php?page=article&item=nvidia_tegrak1_previewνm=1 The power usage of the 4 core K1 makes it suitable for a tablet. Oh Joy! I was going to get the Surface 2, but the i3 64GB for its price point for my documents editing will just do for me! I already have a beasty Alienware laptop, but I'll get this for my reading and thesis writing. Surprise us with a beautiful Surface Phone. What a beast that top one is.. can't justify it currently but if I could I would.. way to give options m$ ..
Ahhh! I have to hold onto my Surface 1 for another year, can't justify upgrading this quickly! The store where I work already took down the surface 2 Displays. We should be getting the 3 and mini by June. If you don't mind my asking, who typically buys Surface 2 at your store? Is it mostly older people?